If you live in the Hudson Valley, you have the opportunity (if the weather cooperates) to observe a very neat astronomical event - the occultation of the bright star Regulus by an asteroid. This is truly a rare, once-in-a-lifetime event. Regulus is the brightest star in the zodiacal constellation of Leo the lion and an occultation (from a Latin word meaning "hide") occurs when one object passes in front of another briefly blocking our view of it in the sky. 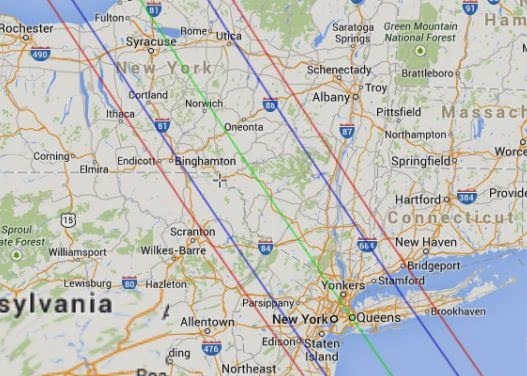 In this case, the star Regulus, which is almost 80 light years away from us, will be briefly blocked by a passing asteroid belt rock named 163 Erigone (pronounced eh-RIG-uh-nee) from our perspective here in selected parts of New York State (see map below). Unfortunately, it will happen around 2:07 a.m. ± 2 minutes on the evening of Wednesday, March 19 / early morning of Thursday, March 20 which is way past my normal bedtime! of asteroid's shadow, and red lines mark limits of one sigma uncertainty for shadow edges. Here's a close-up for the mid-Hudson Valley where I live. I live relatively close to the blue line southwest of Kingston so I plan on driving down toward the center of the path for a better view - probably the west-facing overlooks on either Route 44/55 or Route 52 on the Shawangunk Ridge (assuming skies are clear). 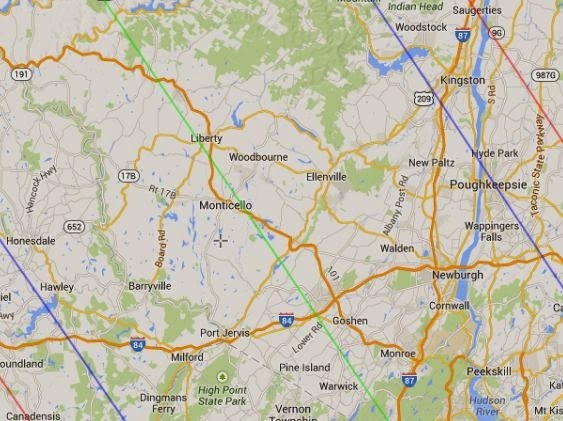 Here's where to find Regulus in the southwester sky (to the right of the Moon) around 2 a.m. in the mid-Hudson Valley (see map below). The front of the constellation of Leo the lion looks like a backwards question mark with Regulus shining brightly at the bottom. You don't need a telescope or even binoculars to view this. While some amateur astronomers will be out with telescopes accurately timing this occultation, Regulus is a very bright star and quite easy to find. If you're watching for it, the occultation should be obvious and will last about 14 seconds. 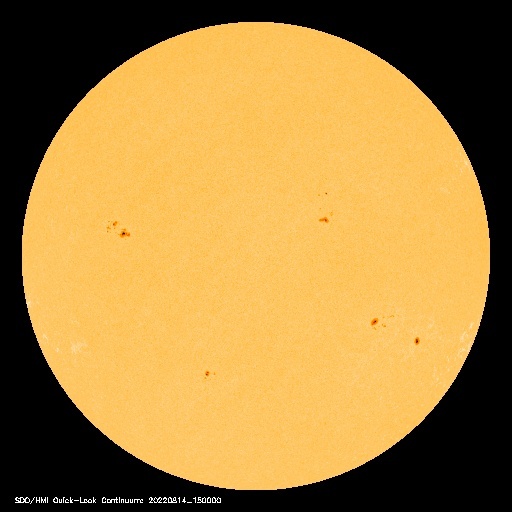 Why will some astronomers be timing this event? Because combining observational data from different localities on an occultation allow us to better determine the asteroids shape and size, allow the detection of moons around an asteroid, and allows us to more accurately measure the diameter of the star Regulus among other things. Visit the International Occultation Timing Association website for more information. Of course, as is dishearteningly typical for the Hudson Valley on nights where neat stuff is forecast to occur in the sky, the weather forecast looks bad (cloudy with rain/snow).